Better Mousetrap - You are entering an existing market with a product that is better than the existing solutions in some way - could be cheaper, faster, stronger, easier to buy, whatever. For example, an HDTV is much better than a standard TV but is essentially the same thing. I love these companies because there is a big proven market with real dollars being spent. I hate these companies because it can be hard to get people to switch to a new product. Category Creator - You are creating a market that does not exist by inventing something new that people do not currently buy, like VCRs in 1977. I hate these companies because it is really really really hard to create a new category. I love these companies because if you succeed you are automatically differentiated and the number one player in the market. There are lots of examples of both, but HubSpot and ZenDesk are two similar companies (both b2b SaaS companies, both had an IPO the same year, both now valued around $1.5-$2 billion) but were fundamentally different business models. 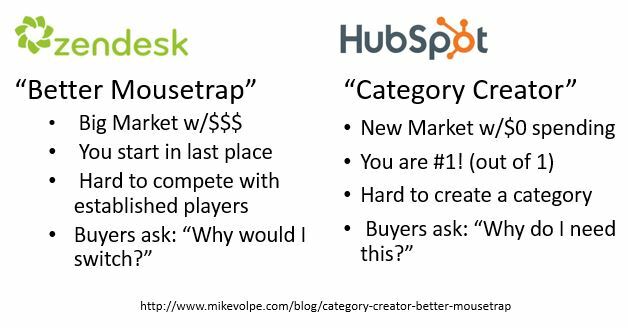 ZenDesk is a better mousetrap and HubSpot is a category creator. At HubSpot, we had to spend a lot of time and effort building the inbound marketing movement to educate people about why they needed to start doing inbound marketing and why they needed a marketing software system to do it. ZenDesk spent a lot of time and effort creating an amazing customer experience and fun brand - good enough to get people to switch away from the product they had used before. Neither business model is better, they are just different. The thing to remember is that they have different implications for what you need to do in order to grow your startup. So, which business model are you? And what are the implications of that for your strategy? 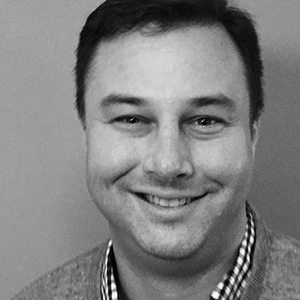 PS - One of the resulting differences between the HubSpot and ZenDesk is that Zendesk started selling to the enterprise a lot sooner (in fact HubSpot hasn't really gone to the enterprise yet) and because of that they have gotten to slightly higher revenue faster (both are still great growth stories). I think part of the underlying reason for that is because at HubSpot we were creating a category and the enterprise is slow to move to new ways of doing things. On the other hand, ZenDesk only had to prove to the enterprise that they could support the requirements of the enterprise by publishing some enterprise case studies and references. There was no change required in how you work or how you think about the world, enterprises already bought service desk software.